As the wine slowly opens, inviting aromas of tart cherry, spicy currant and blackberry mingle with fine-grained oak and herbal notes. The spiciness found on the nose is repeated on the palate from the first sip to the lingering finish. The opulent entry quickly reveals bright red and dark fruit laced with cedar, chocolate and a touch of coffee. 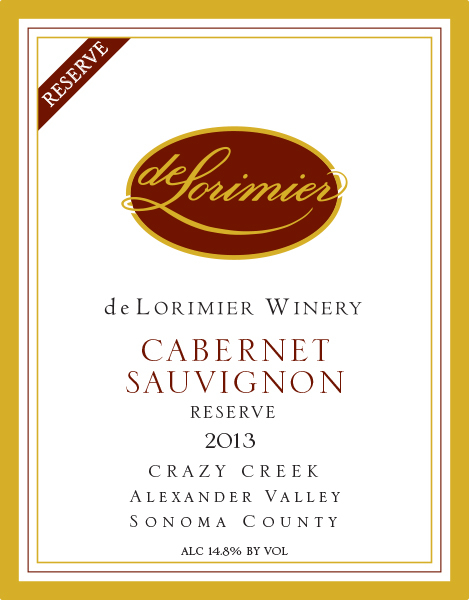 This Cab offers an ideal balance between the oak and tannic structure and the ripe luscious fruit flavors. If opened before mid-2016, be sure to decant for at least 30 minutes before serving. If patience is on your side, consider cellaring the wine for another year to allow the flavors to continue to evolve. This wine would pair well with rosemary beef tenderloin with a blackberry red wine sauce, or roasted duck with a green peppercorn glaze.